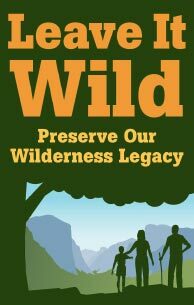 Did you know that September is National Wilderness Month? The state of Colorado contains over 3.7 million acres of federally protected wilderness land. Support Colorado’s wilderness areas by telling your congressman/congresswoman that you support wilderness legislation. In addition, Pew Environment has a neat infographic showing the public benefits of wilderness.